KEYNOTES HOME » Keynotes» PHEEL THE LOVE! 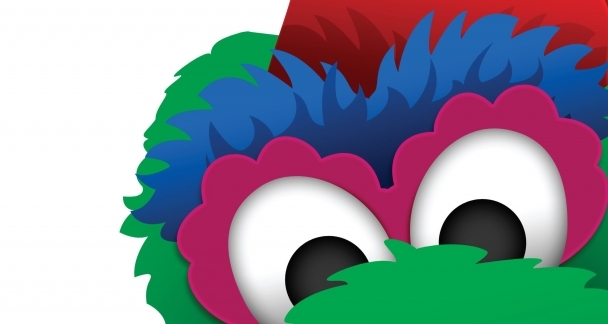 ✔ You’ll learn how the Phillie Phanatic inspires fierce loyalty from his fans and drives revenue. ✔ You’ll understand the business case for love—and why companies who know how to create loyal, loving fans outperform those that don’t by almost 2-1. 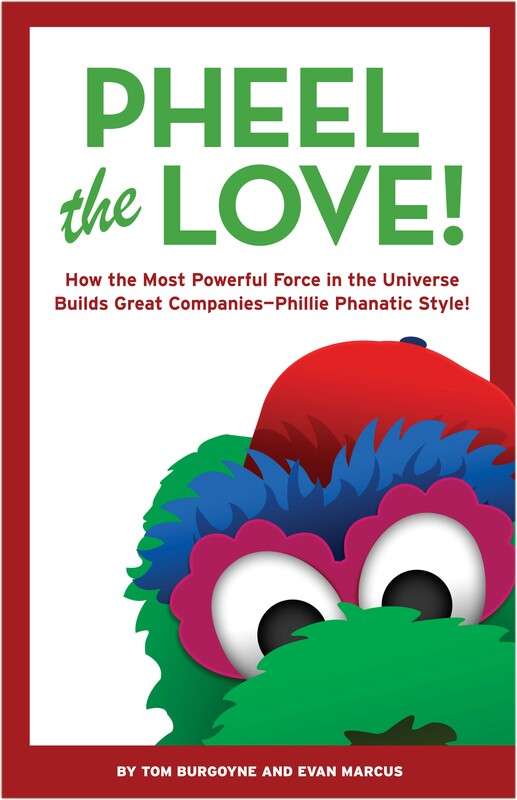 ✔ You’ll see the ways in which Phanatic inspired principles like “The Big Smooch” are already being applied by successful companies such as Vanguard, WAWA and Wegmans. 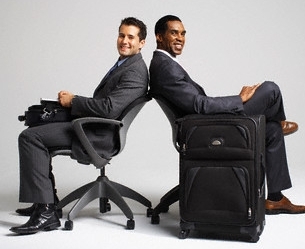 Tom Burgoyne, the “Best Friend” of the Phillie Phanatic for nearly three decades, and Evan Marcus, an acknowledged expert on corporate culture and high-performing leadership teams, demonstrate how to use the amazing power of love to transform people and organizations. Click HERE to buy your copy of the book. Click HERE to access a printable description of this keynote speech. Click HERE to see highlights from the Pheel the Love! message. Click HERE to see a short clip of Tom and Evan on the Fox Philly morning show. Click HERE to see a longer, (and really terrific) Sports Illustrated documentary on the history of the Phillie Phanatic.